This slot has an astrological theme and is fittingly called Cosmic Reels. The game is designed by Leander Gaming and is composed of two main features: Cosmic Wild and Cosmic Re-spin. It is possible to win up to x2,000 on any given spin! The transparent reels give way to the brilliant shades of red emanating from the gaseous stars millions of light-years away. Likewise, the symbols themselves are forged from burning gases composed of unique elements to create the different colours and formations: red tiger, orange monkey, yellow ram and green Phoenix. There are also five lower-level symbols composed of five unique elements burning to create the royal flush poker symbols. Accompanying this slot is a catchy tune that almost seems to capture the essence of the cosmos. The cosmic wild symbol can appear only on the third reel and in so doing transforms the entire reel into stacked sticky wilds where you then collect a free Cosmic Re-spin. The symbol can replace all other symbols accepts the cosmic scatter symbol. There is also a cosmic re-spin symbol that appears on the fifth reel only. You can collect another free re-spin if the cosmic re-spin symbol lands during a free re-spin. Once the free re-spins end, a player that manages to collect 2 Cosmic Re-spin symbols will win x10 the total bet or x100 the total bet when a player manages to collect 3 Cosmic Re-spin symbols. Cosmic Reels slot has a theoretical return to player of 96.17% and a variance that is likely around a medium. The game is played on ten fixed paylines and is relatively simple to play because it does not have a lot of features. Still, the features that it does have are triggered regularly which makes a lot of sense considering the slot only has ten paylines. The game is optimised for pc, tablet and mobile so you can travel the cosmos while playing the game using your Android or iOS device. If the game interests, you then we suggest you visit one of our recommended and trusted casinos and see what the stars have in store for you. 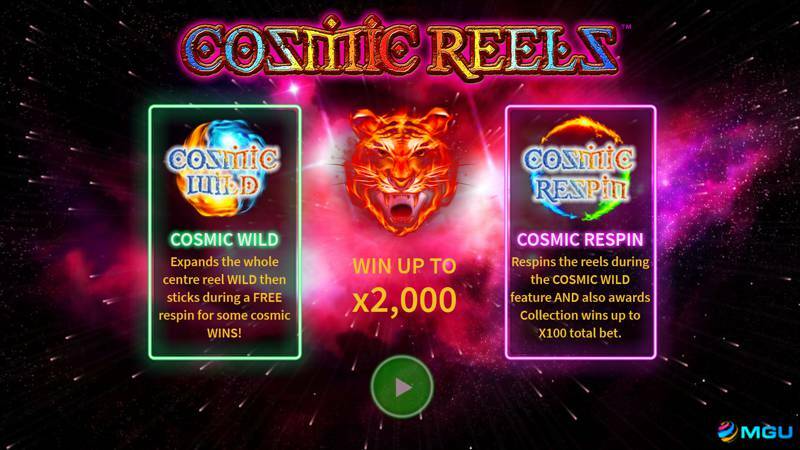 Cosmic Reels is a poor attempt at a slot game.